Scottish artist Susan Philipsz won the 2010 Turner Prize with the re-staging of her audio work 'Lowlands'. The empty gallery space was equipped with three speakers each playing a different cappella recording of Philipsz singing a 16th-century Scottish lament 'Lowlands Away'. 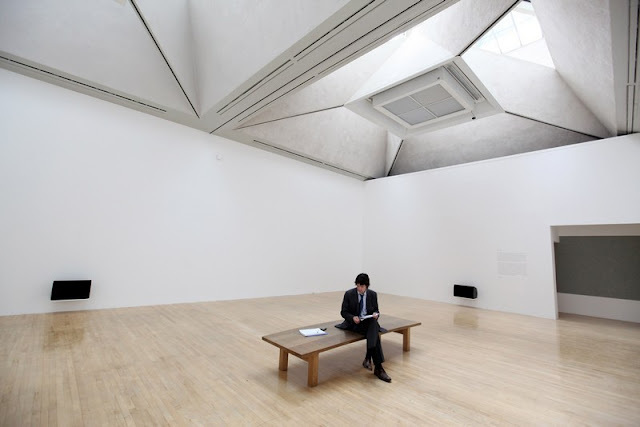 Somber and haunting the work resonated around the empty space creating an eery calm. The work was previously played under the arches of the George V bridge by the River Clyde in Glasgow.